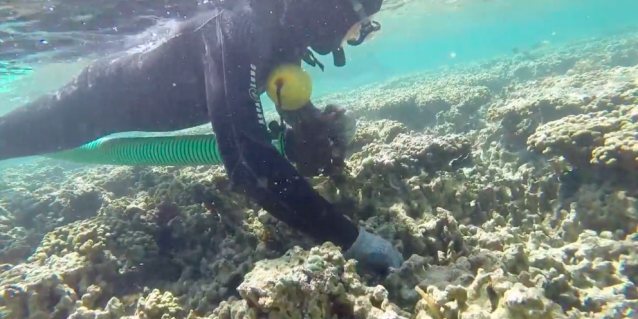 Many invasive species are already present in Hawaii and, despite our best prevention efforts, more will continue to arrive. 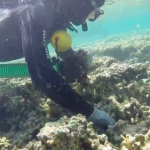 Control of these species is necessary to mitigate or eliminate impacts to Hawaii’s environment and economy, and to the health and lifestyle of Hawaii’s people. Where possible, eradication is a preferred management option over continual control. Early detection can help identify species that are incipient, and rapid response to incipient populations can increase the likelihood of eradication. Where eradication is not feasible, the cost of continual control must be weighed against the cost of inaction. In addition to manual control, biocontrol should be considered where possible as a cost-effective means of addressing widespread invasive species. This year the HISC staff has reviewed guiding docs and made a single, consolidated list of 10 priorities for funding. This is in contrast to last year, where we provided multiple lists of priorities from each guiding document (HISC Strategic Plan, Regional Biosecurity Plan, etc). The 10 priority areas roughly match to the key areas of the Hawaii Interagency Biosecurity Plan described in the HIBP executive summary. For each priority, we’ve listed examples of projects that would address this priority. These project examples are largely based on action items from the HIBP. The project examples are not exclusive. Anyone can propose anything for HISC funding. Same as last year, proposals will be scored based on how well the proposal addresses the priorities in the call for proposals. Goal 1: HISC has an official list of invasive species based on criteria and processes described in HISC administrative rules. Define invasive species for purpose of HISC list. Develop method for selecting species and process for review and addition to the list. Promulgate administrative rules that describe the listing process. Develop and get approval of HISC invasive species list. Goal 2: Capacity for early detection and rapid response is enhanced and maintained on each island. Each island must have sustainable capacity for early detection and rapid response to invasive species for all taxa (plants, invertebrates, vertebrates, aquatics, plants diseases, etc.). Identify roles, kuleanas, capacity, and gaps for detection and response. Prioritize gaps and work with agencies to advocate for and secure additional resources. Increase collaboration with county governments. Develop prioritized list of species and create ICS based response plans for them. Act as statewide coordinating body for responses to ensure consistency and facilitate information sharing. Goal 3: A comprehensive pest reporting system is in place for Hawaii that integrates the pest hotline with online components, including desktop and mobile interfaces. A key component of detection for control is public engagement and reporting of pests. An institutionalized reporting system integrating all forms of modern communication will make it easy and efficient for the public to report potential invasive species increasing detection and streamlining the process and communication among agencies to initiate confirmation and response. Work with CGAPS and other relevant agencies and organizations on tool design and development. Design information flow system on the backside of reporting tool to facilitate communication and information flow for appropriate response initiation to reports. Assist HISC agency with kuleana to house the system. Goal 4: Hawaii’s biocontrol program is supported and capacity is increased. Biocontrol is a key tool for the management of invasive species and Hawaii is a global leader in effective biocontrol programs. To continue and maintain this legacy of excellence, we must have adequate facilities and staff, an informed and supportive public and decision makers and build strong international partnerships. Provide data and information to the outreach working group to develop outreach materials. Collaboratively develop prioritized list of biocontrol targets. Facilitate discussions to identify and prioritize needs and advocate for them. Facilitate collaborations within Hawaii among biocontrol. stakeholders, as well as, participation in international collaborations. HISC list of invasive species in place. Progress towards capacity goals identified in gap analysis of early. detection and rapid response capacity on each island. Number of pest reports received via integrated reporting tool. Public attitudes relating to biocontrol. Progress towards capacity needs for biocontrol.